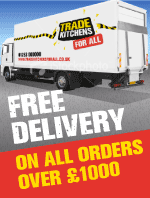 At Trade Kitchens, our aim is to provide you with the very best quality products at the very best prices, bringing trade prices to the masses. As a family run business with over 20 years industry experience, we know that when it comes to choosing a new kitchen, you want unlimited options, cheap competitive prices and an extensive range of quality products to choose from. 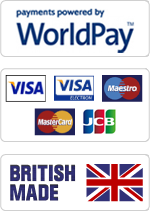 Our service is completely personal, from the many options we provide on our website, to the excellent order and dispatch turnaround time and prompt delivery. All cabinets are made in our own workshop using the latest cnc technology and up to date manufacturing methods. We always try and source locally, choosing Britsh Made products over those manufactured and produced overseas. Our products are all FSC certified, therefore minimising the enviromental impact from their production and giving you peace of mind.